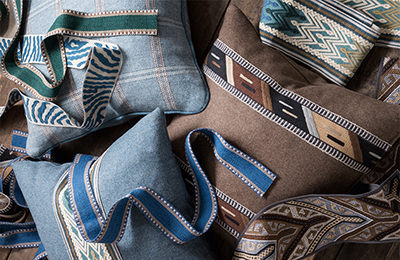 Artisan II is a celebration of the centuries-old art form of hand block printing and the ancient techniques of decorative embroideries and traditional stitchwork. 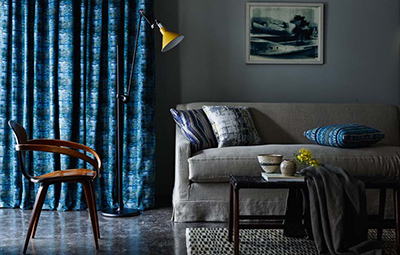 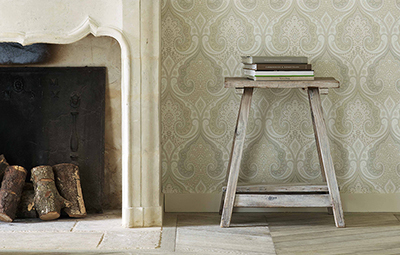 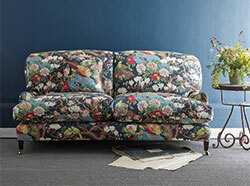 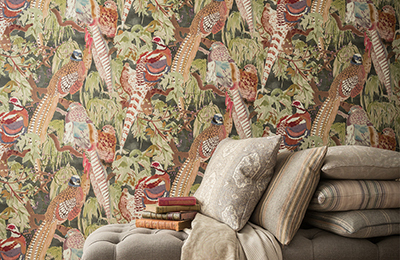 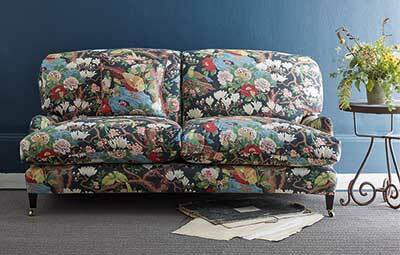 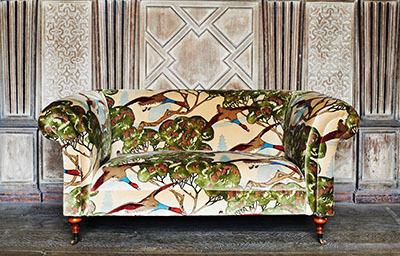 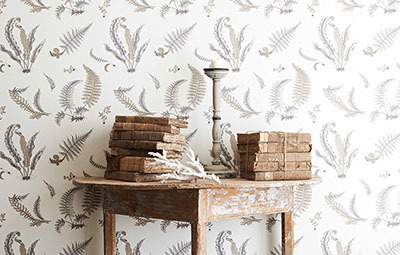 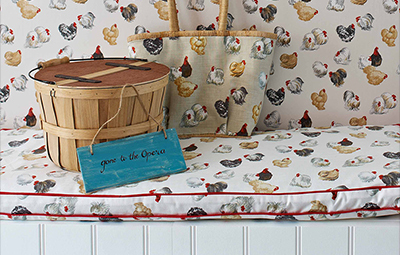 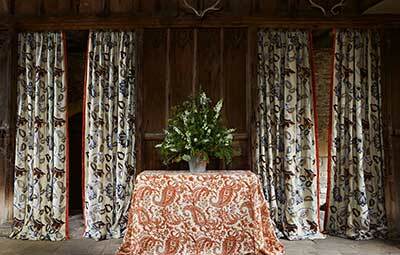 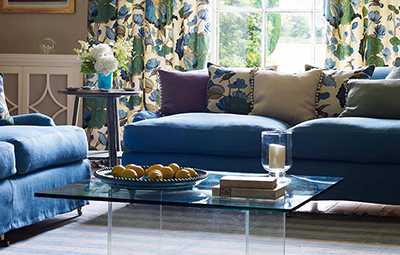 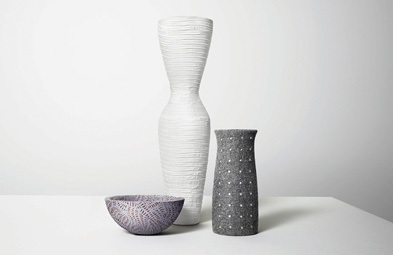 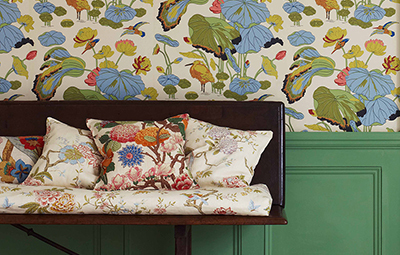 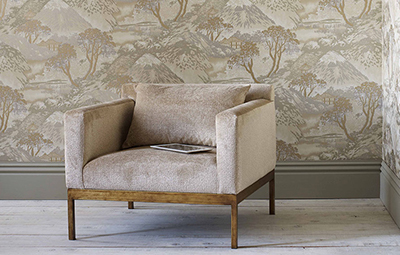 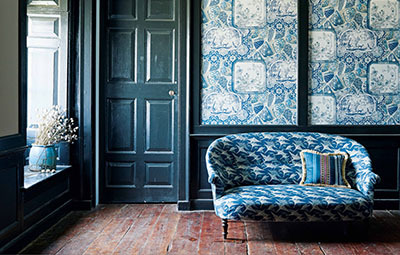 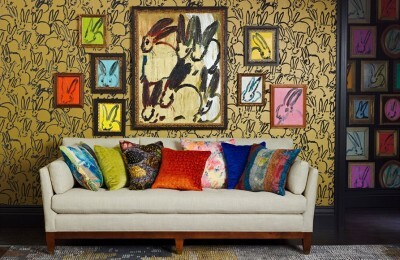 GP & J Baker’s outstanding ‘Signature Prints’ collection is a perfect illustration of the company’s celebrated heritage. 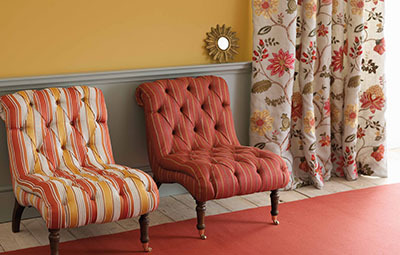 Three opulent upholstery velvets add a luxurious dimension to both prints and embroideries, ‘Keswick’, ‘Keswick Plain’ and Kendal Velvet’. 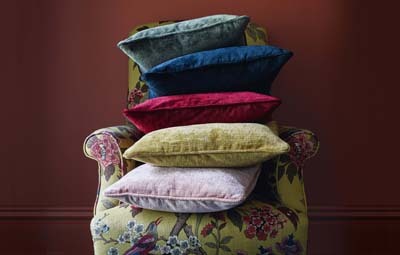 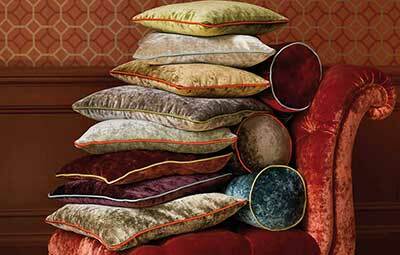 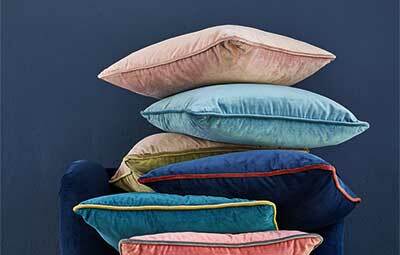 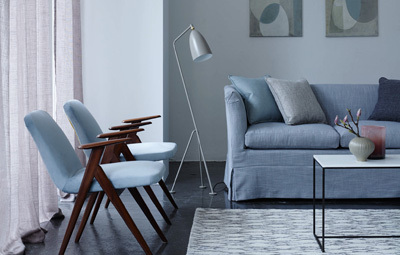 The Coniston collection is a rich supple velvet in twenty two delicious colours - from vibrant brights to elegant neutrals. 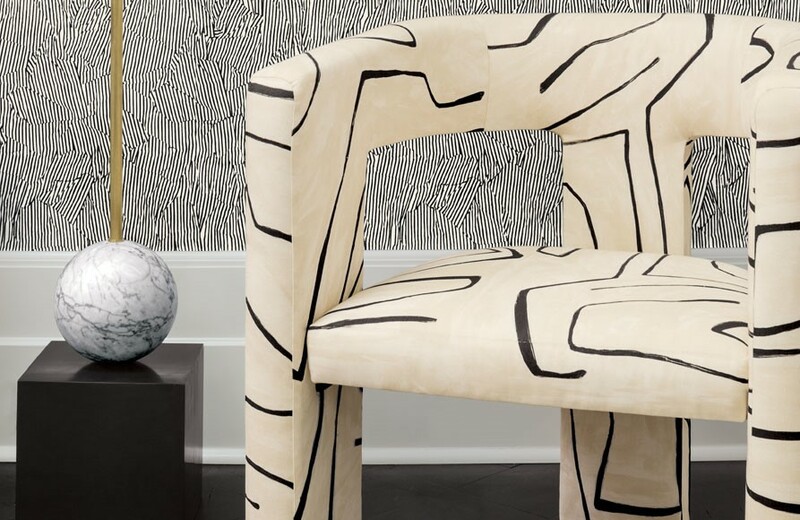 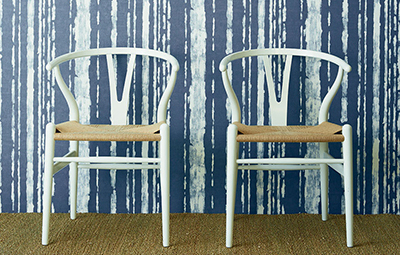 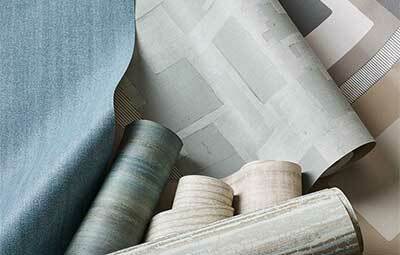 An exceptional group of abstract vinyl wallcovering with a finish resembling the natural textures of linen and canvas. 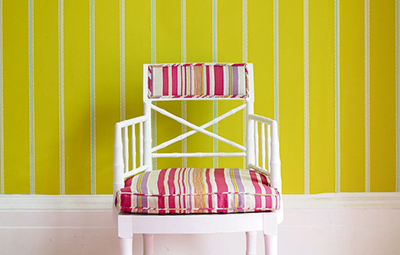 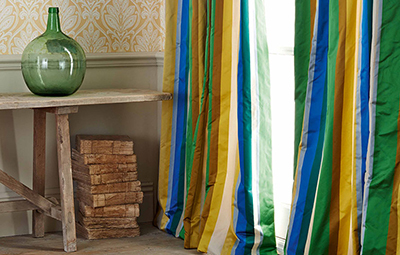 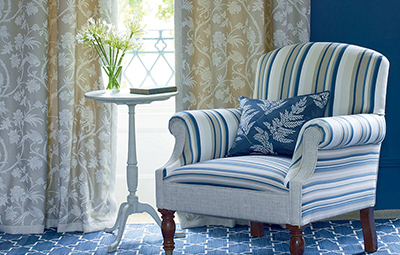 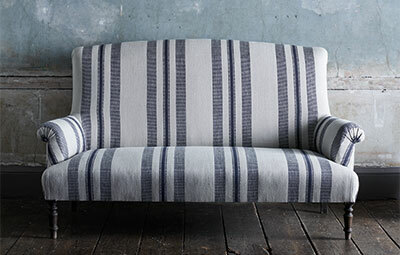 ‘Great Stripes’ lives up to its name with an exceptionally smart and varied collection of essential and decorative classics. 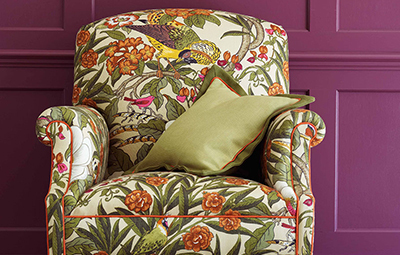 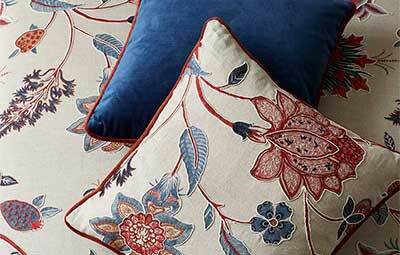 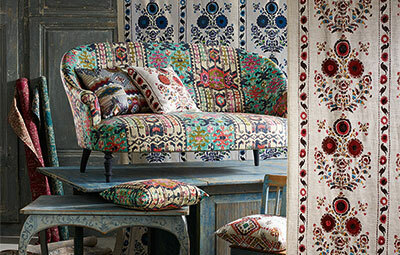 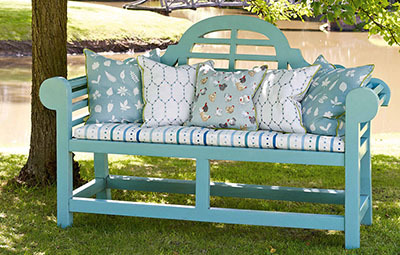 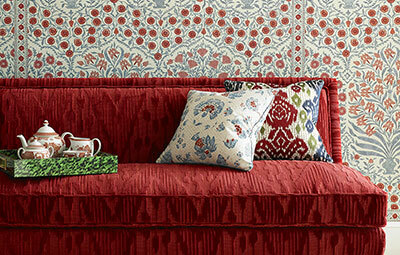 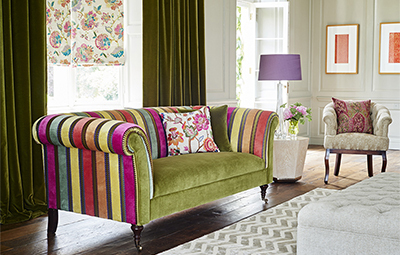 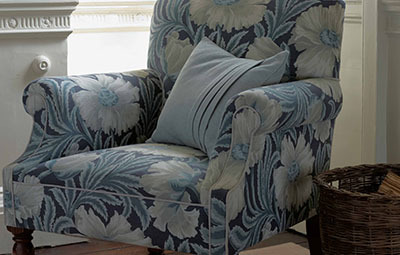 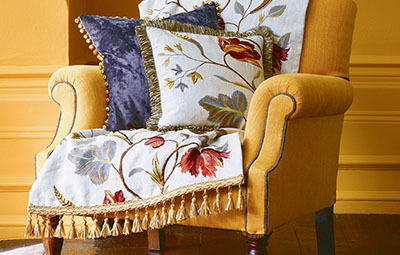 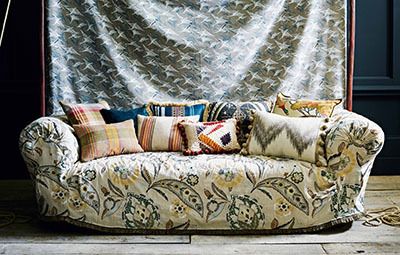 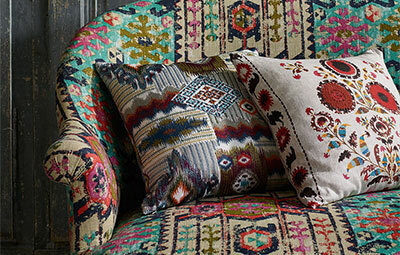 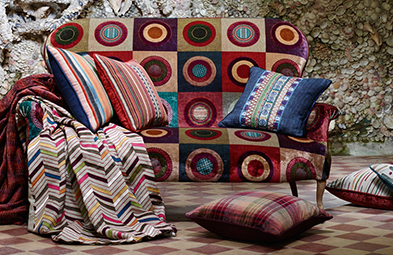 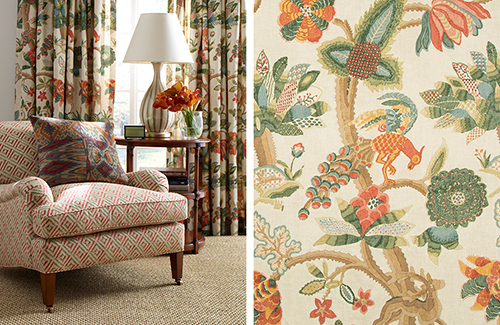 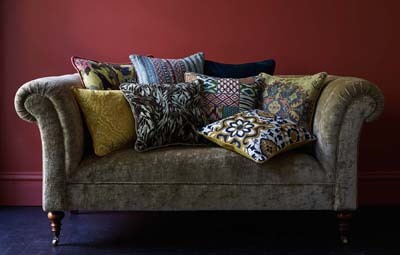 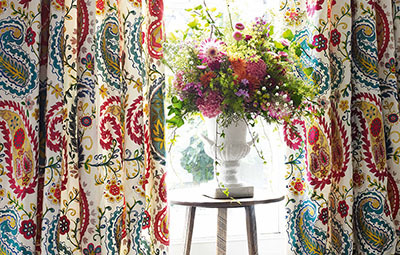 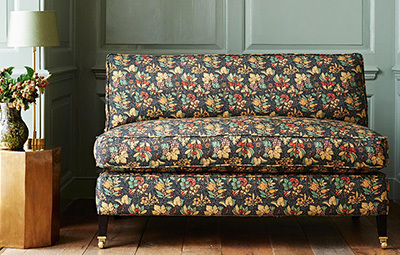 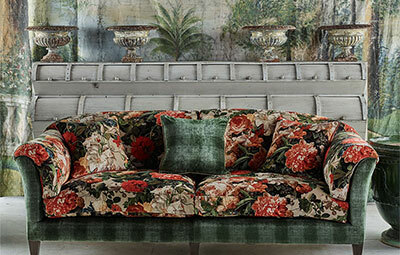 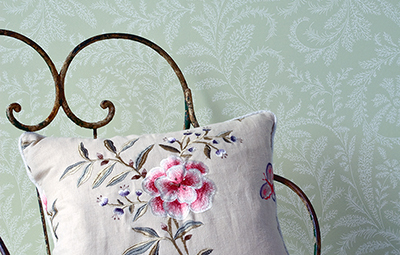 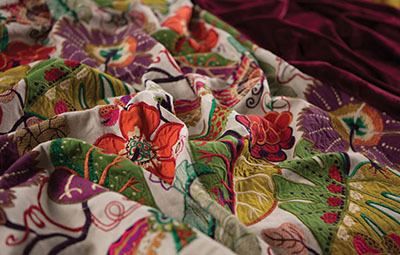 The Carnival collection is a fabulous mix of botanical and ethnic prints and zingy embroideries. 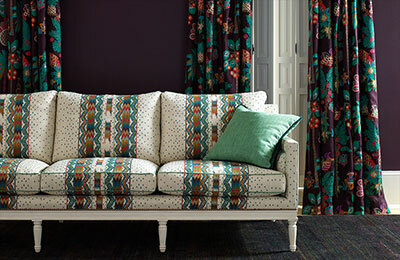 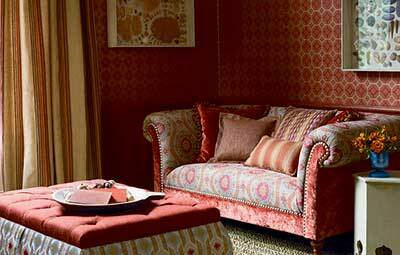 ‘Carnival’ can provide either hot and vibrant of cool, contemporary interiors. 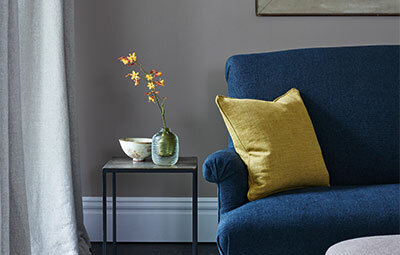 Our third collection with Homes and Gardens magazine draws strikingly simple designs and beautiful colours into a fabulous fusion of style. 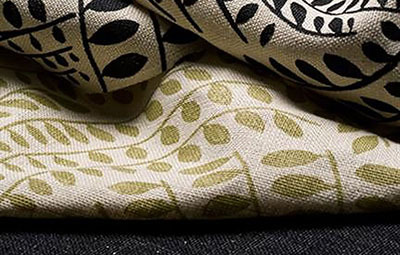 Sue Firestone cherishes organic simplicity. 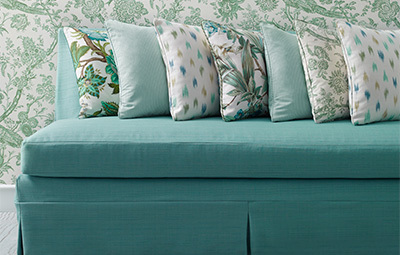 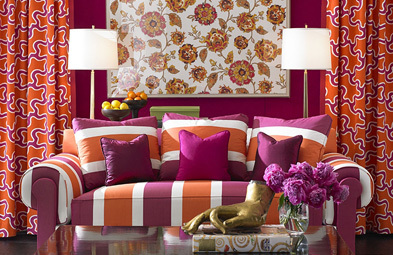 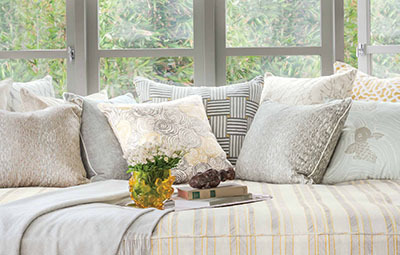 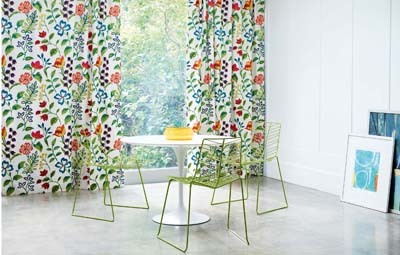 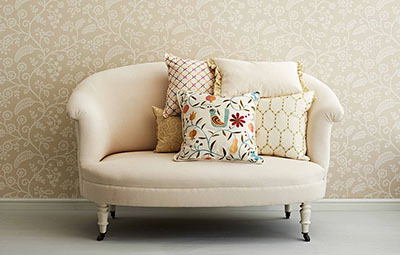 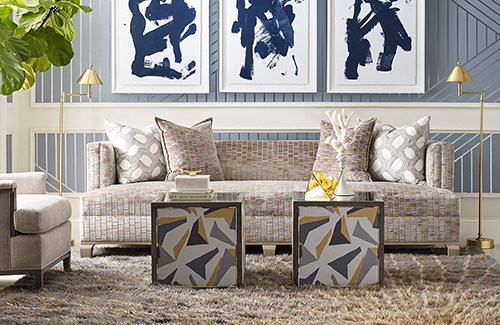 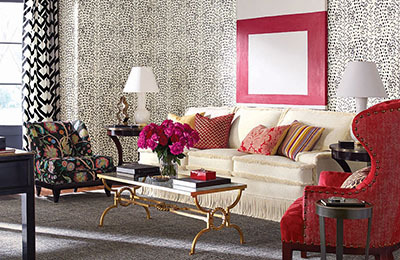 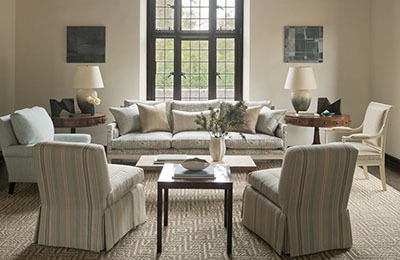 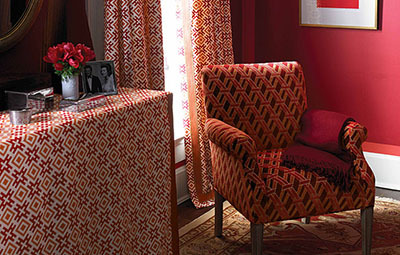 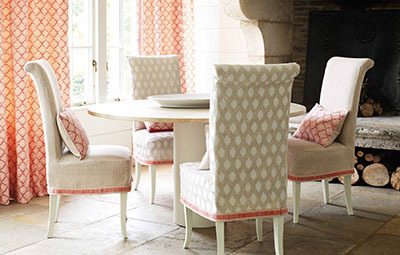 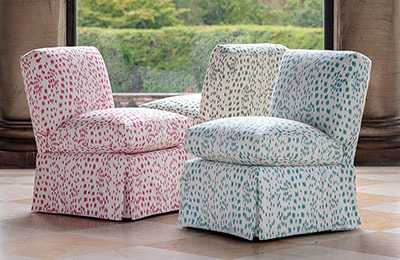 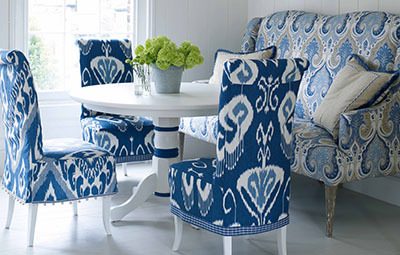 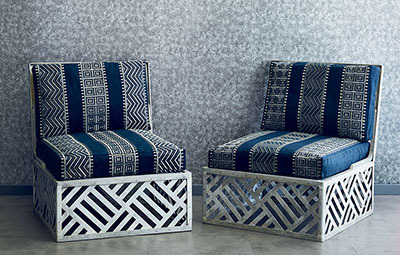 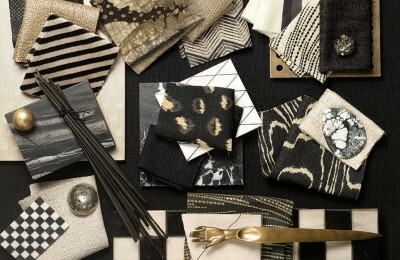 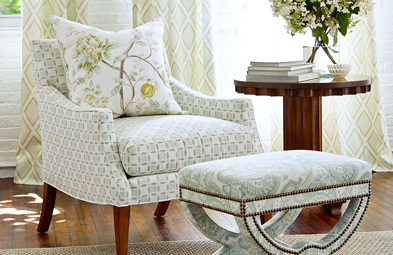 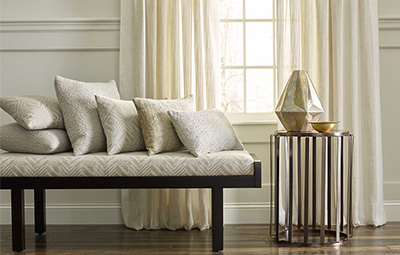 It was one of her main inspirations when designing her first collection with Kravet Couture, Malibu. 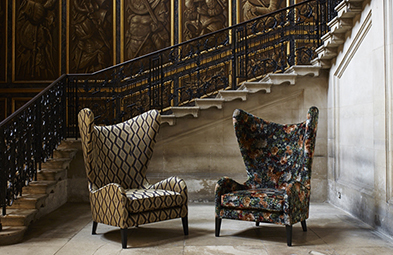 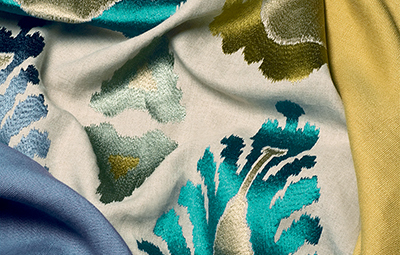 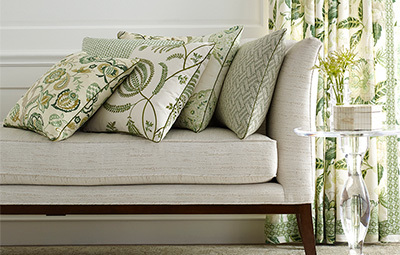 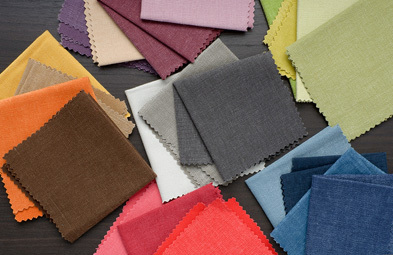 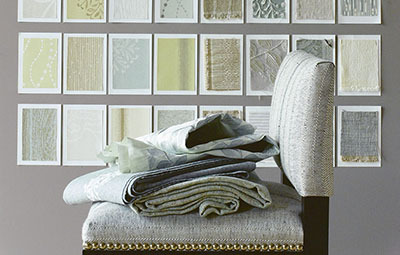 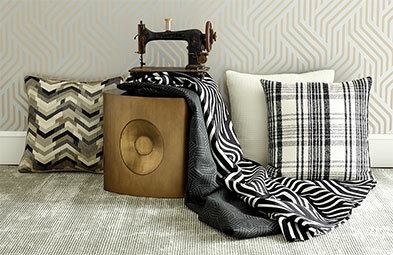 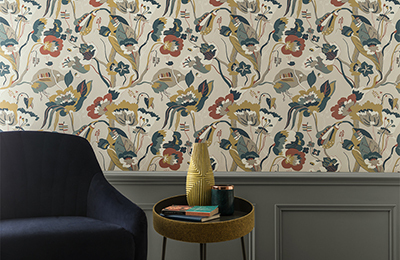 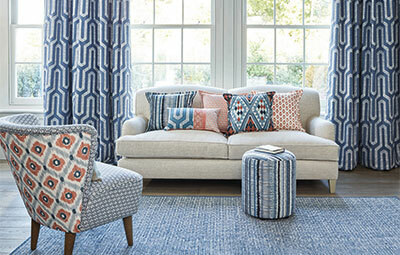 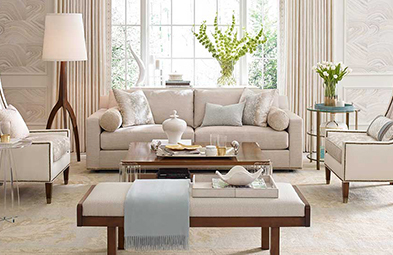 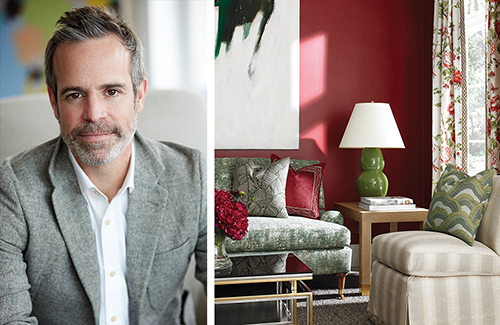 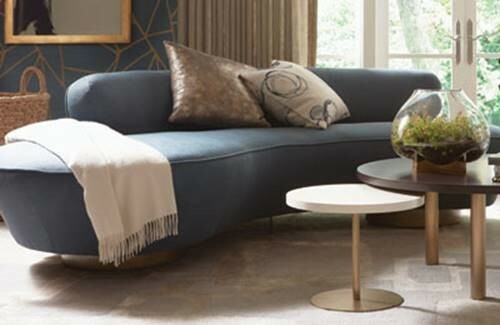 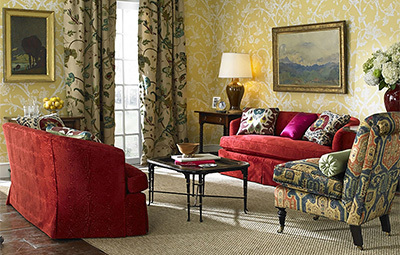 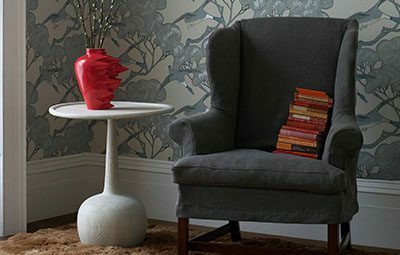 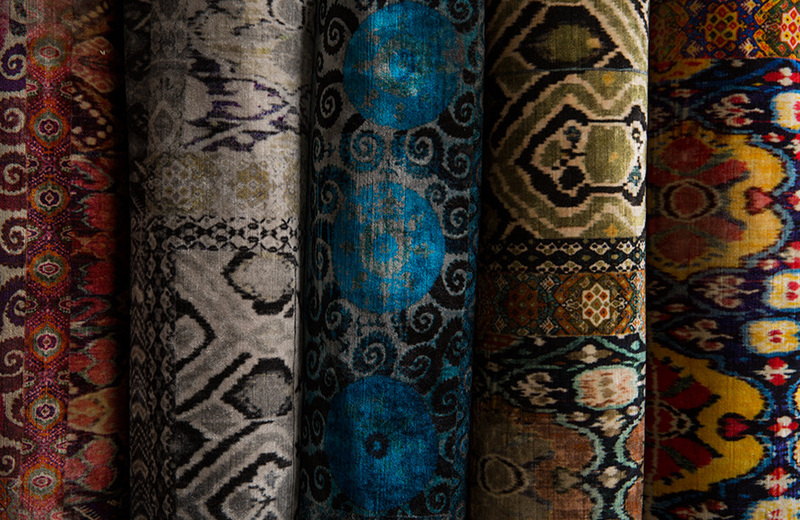 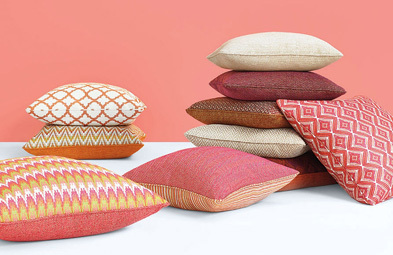 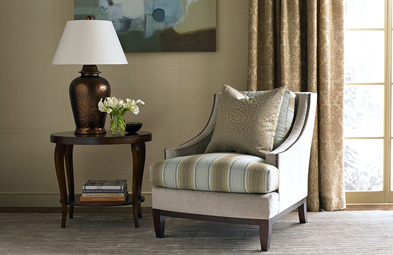 Kravet Couture's Modern Tailor collection draws inspiration from the fashion runway with a focus on bespoke tailoring techniques. 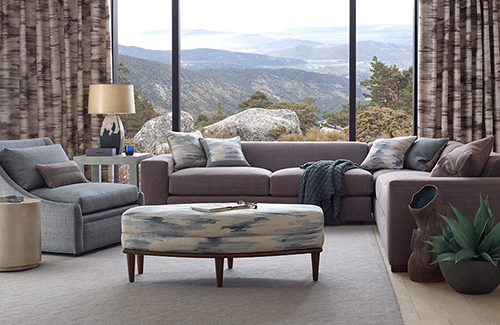 Embrace the mystical and breathtaking mountain range of Southern France with Brunschwig & Fils’ latest collection, Cevennes. 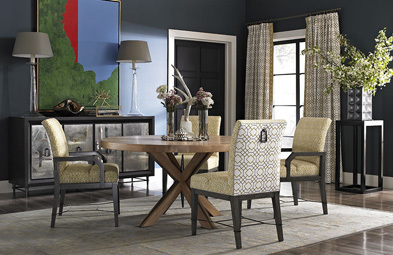 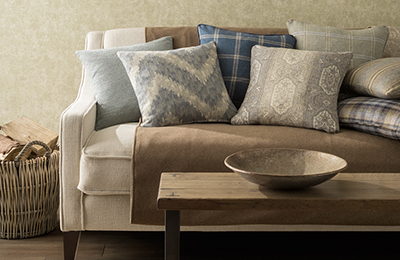 Westport captures a casual and sophisticated lifestyle, inspired by an eclectic mix of design references. 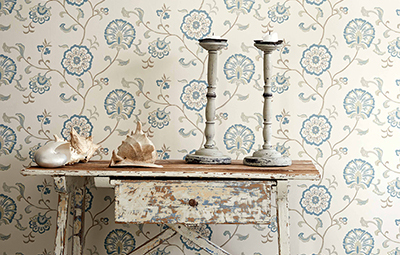 East to West is an homage to our enduring fascination with the riches of the East brought to Europe by intrepid traders over many centuries. 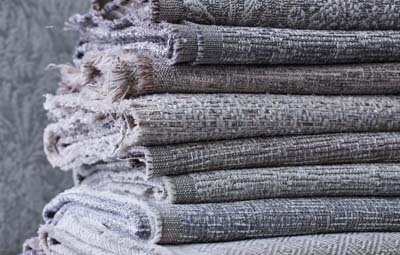 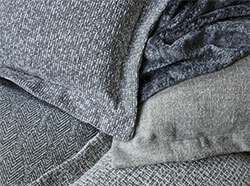 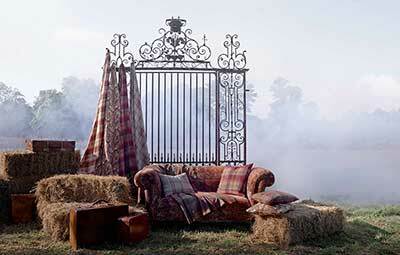 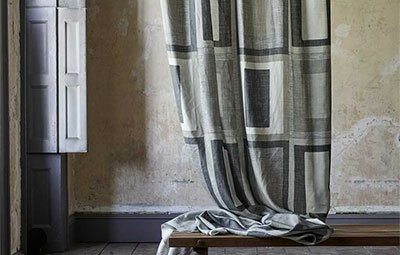 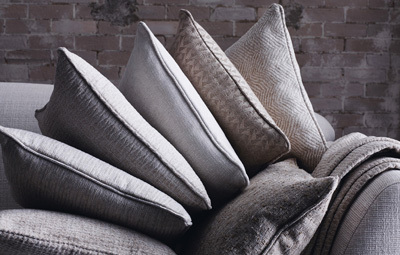 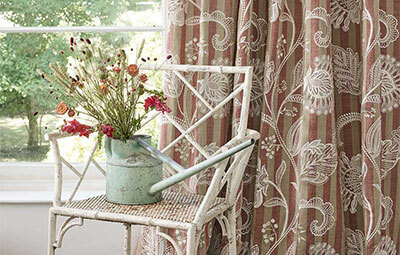 These wonderful weaves with their appealing mix of textures and scales include the robust simplicity of Vintage Texture. 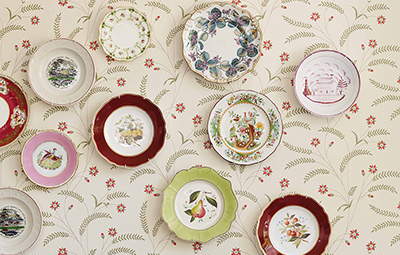 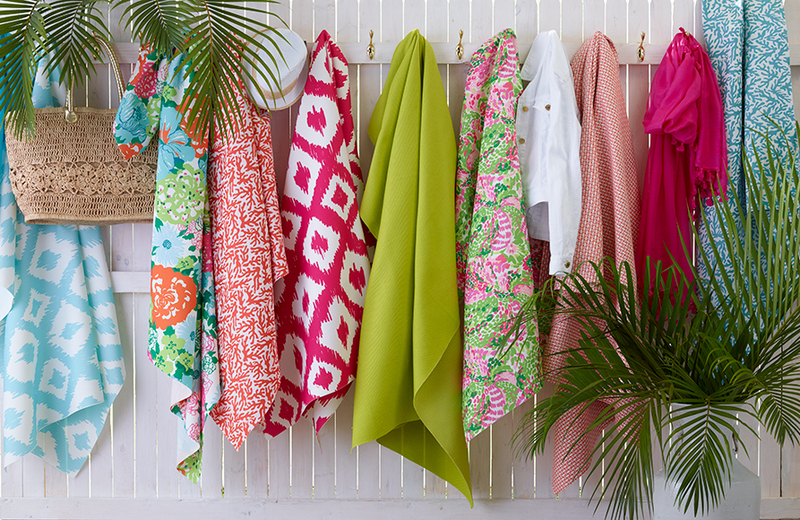 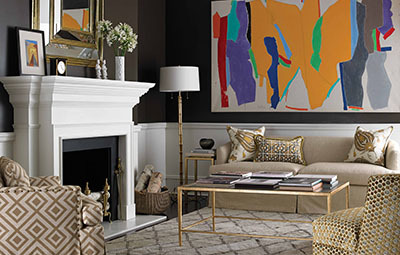 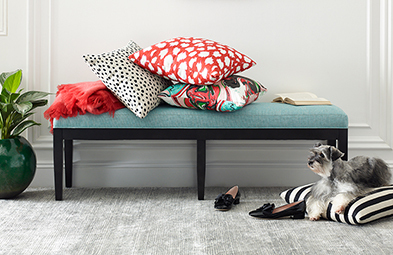 Tapping into its extensive print archive, kate spade new york chose timeless favorites to seamlessly transition from fashion accessories to the home. 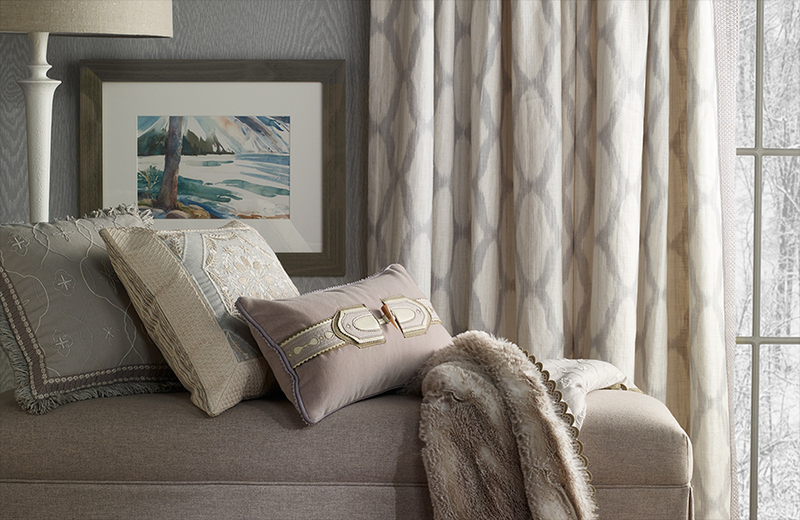 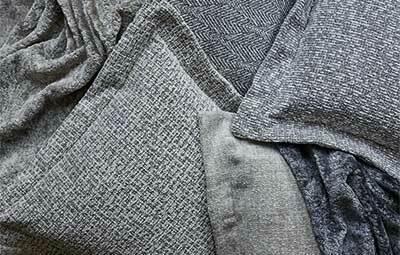 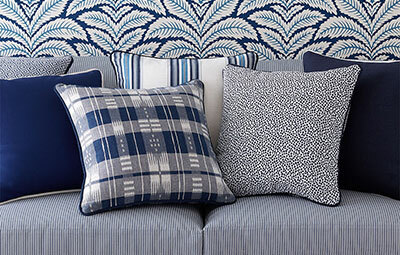 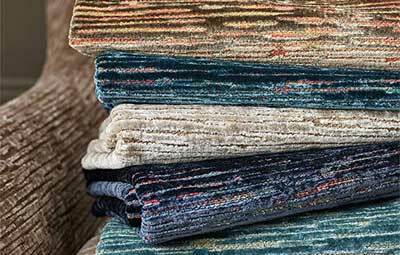 CHALET, Barbara Barry’s new collection of fabric and trimmings for Kravet, is based on her love of the Austrian Alps, where rustic meets refinement. 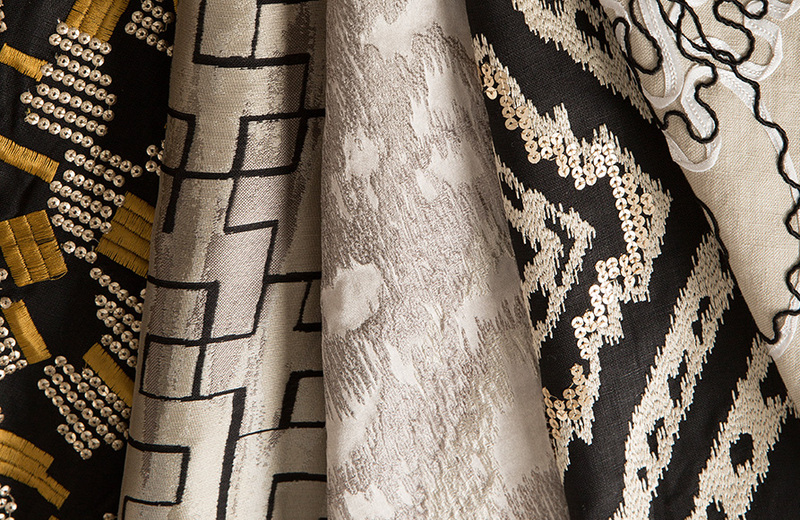 Building on the outstanding success of the first, this second collection exhibits the couture detailing and fine tailoring that is the Oscar de la Renta signature.